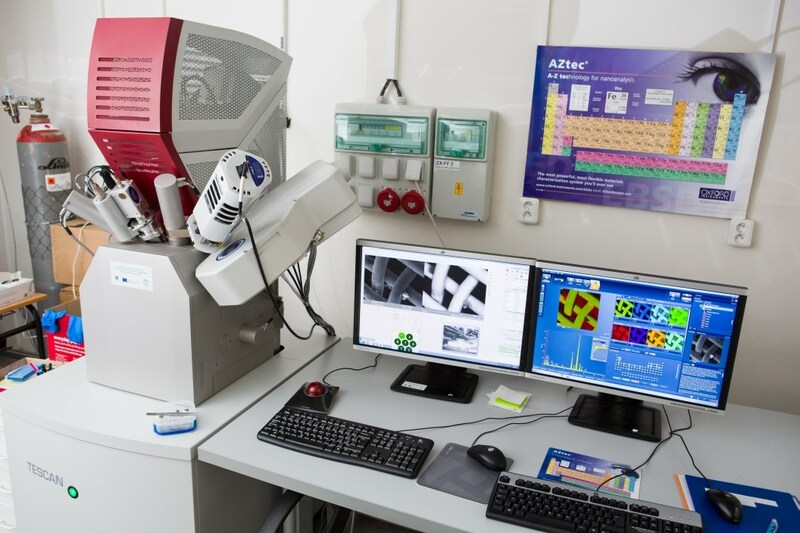 Scanning electron microscope MIRA3 made by Tescan, Brno is fully PC controlled SEM equipped with a Schottky Field Emission electron gun designed for high vacuum or variable pressure operations. 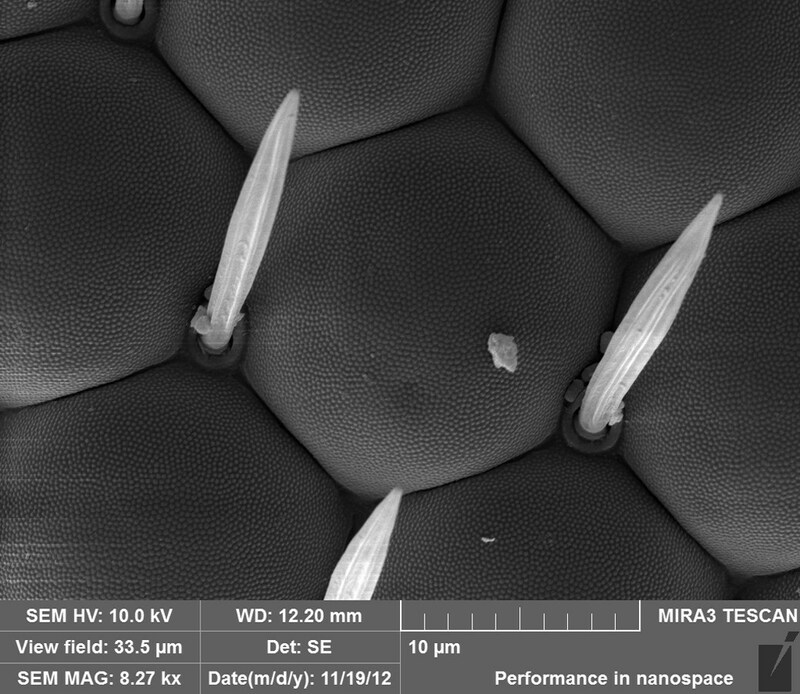 SEM equipped SE (Secondary electrons) and BSE (Back-scattered electrons) detectors. 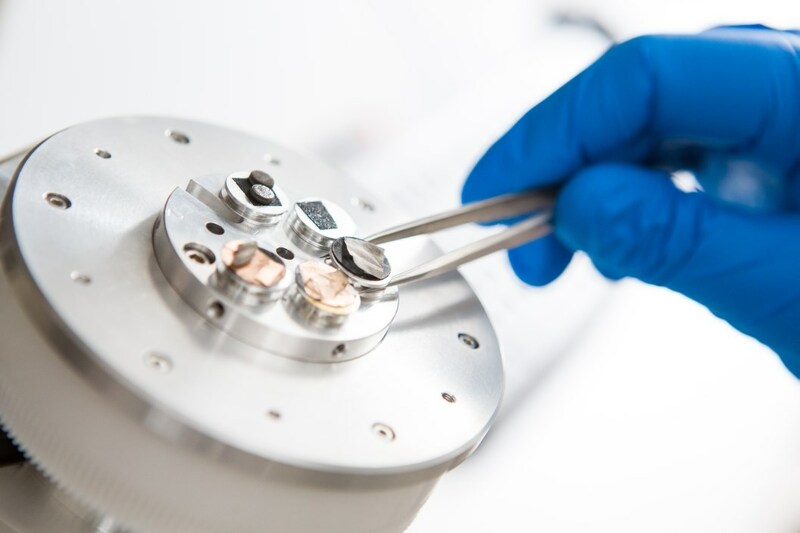 Both detectors are, as well, located in the objective lens enabling work at very short working distances for high resolution. 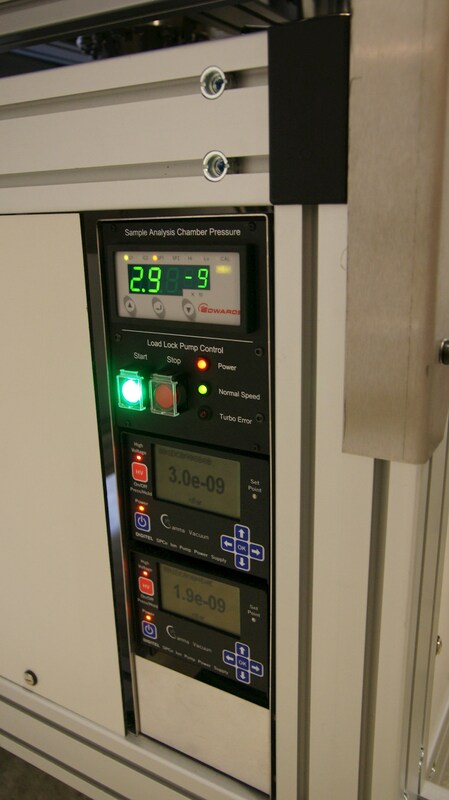 Extended low vacuum mode with chamber pressure up to 500 Pa for non-conducting specimens imaging. 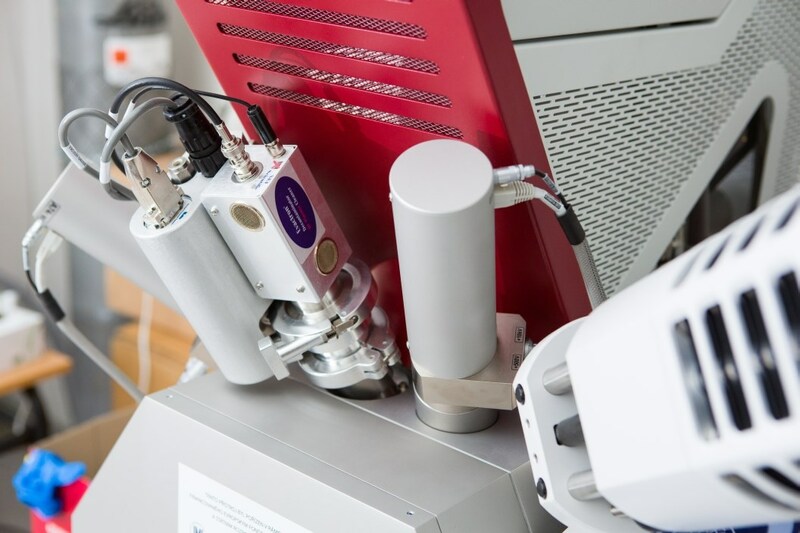 SurfaceSeer –I is a highly sensitive surface analytical SIMS spectrometer offering detailed elemental and molecular information from the outer 1 to 2nm of materials. 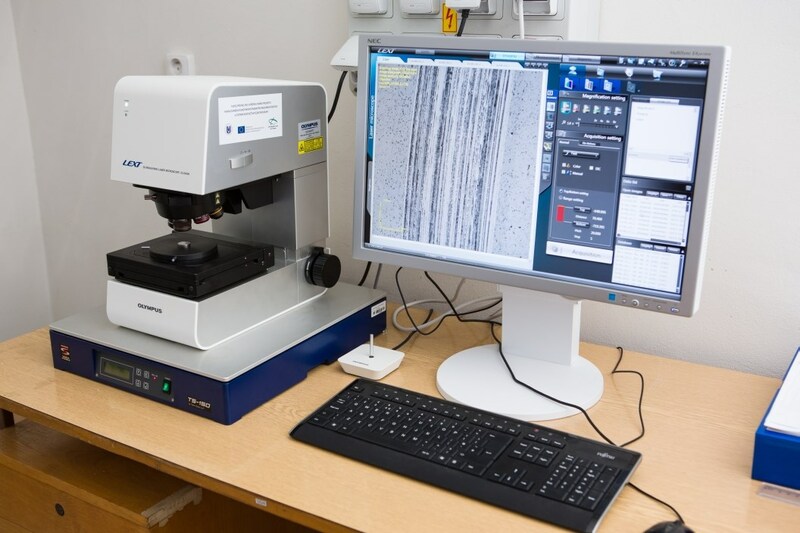 SurfaceSeer –I can work in a “static” mode with minimal damage to the sample surface (mass spectra and 2D spectral images) or in depth profile mode for in depth elemental and, in many cases, molecular analysis. 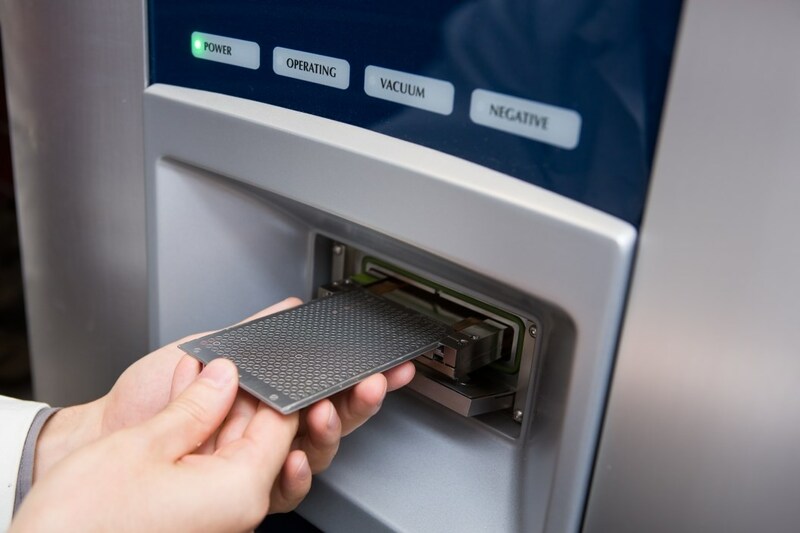 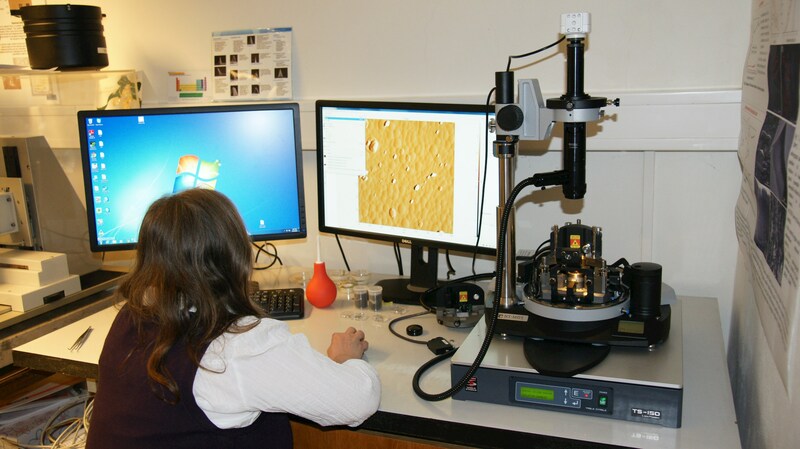 Atomic force microscope Ntegra Prima NT-MDT is modular and it enable using various scanners from wide range of applications. 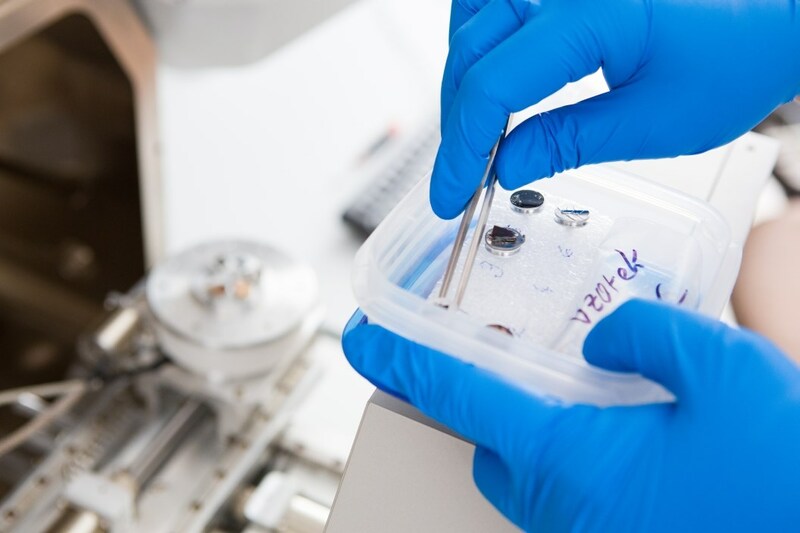 The system has low thermal drift and excellent thermal stability, which play important role in case of applications where it is necessary to achieve high long-time position accuracy because of long-time experiments as well as nanomanipulation, electro-corrosion experiments, nanolitography etc. 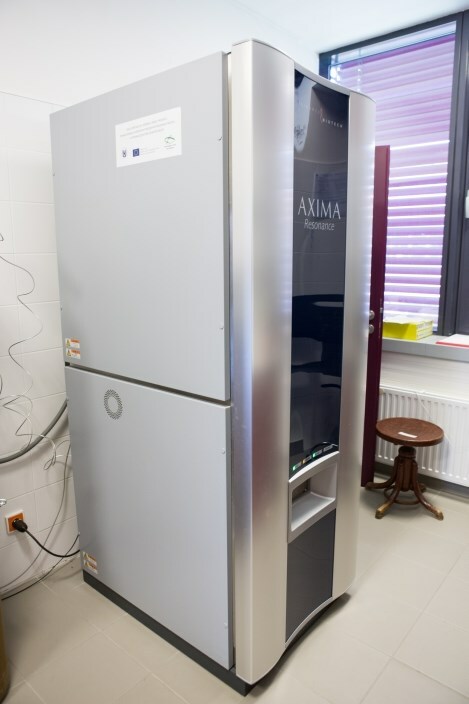 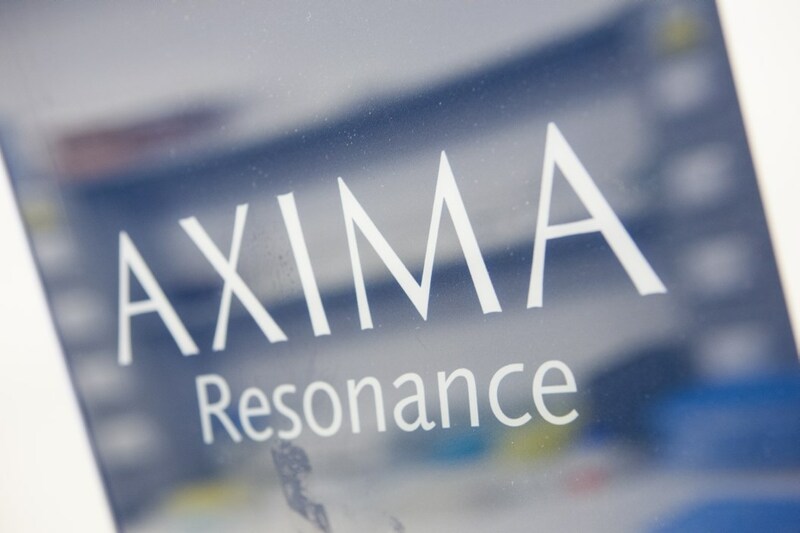 AXIMA Resonance is a versatile MALDI TOF mass spectrometer employed in a broad range of applications. 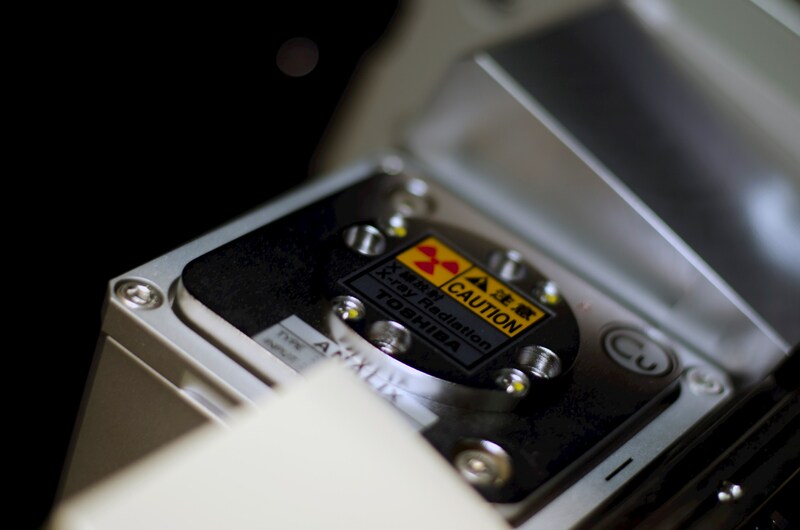 Its main advantages are low sample consumption, high resolution, high accuracy of the m/z and ability to isolate parent ions with isotopic resolution over a wide mass range from 100 to 20000 Daltons. 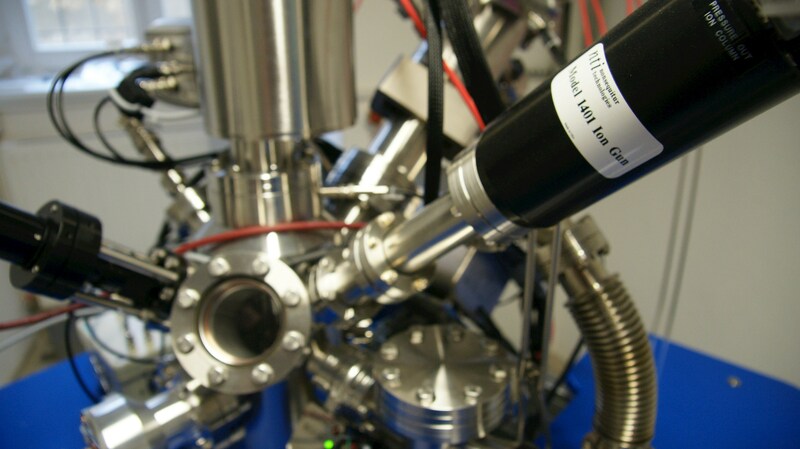 The molecules are analysed in positive or negative ion modes. 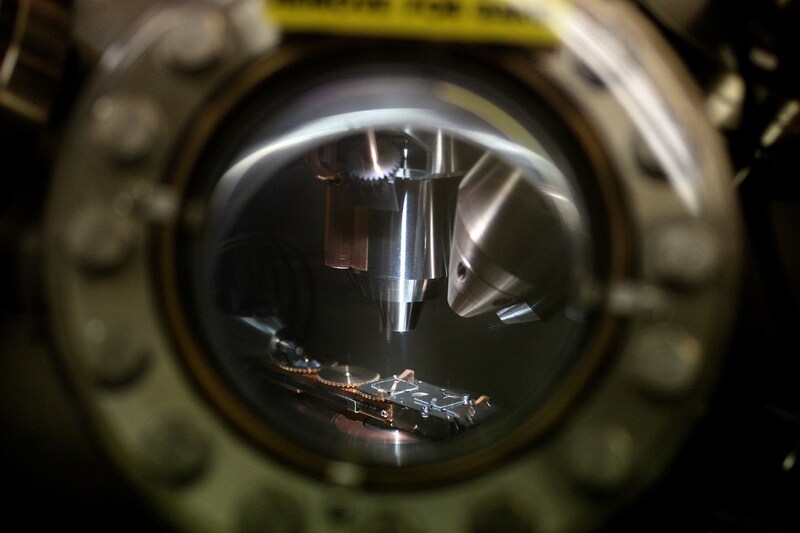 Variable repetition rate N2 laser (337 nm) for desorption of the sample. 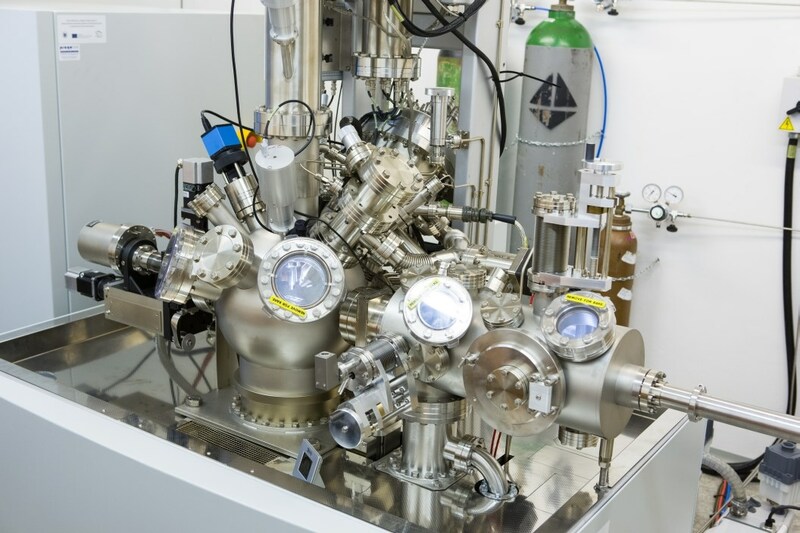 Quadruple ion trap allows the high-resolution selection of parent ions and highly controlled collision induced dissociation (CID) for high-sensitivity MSn acquisitions. 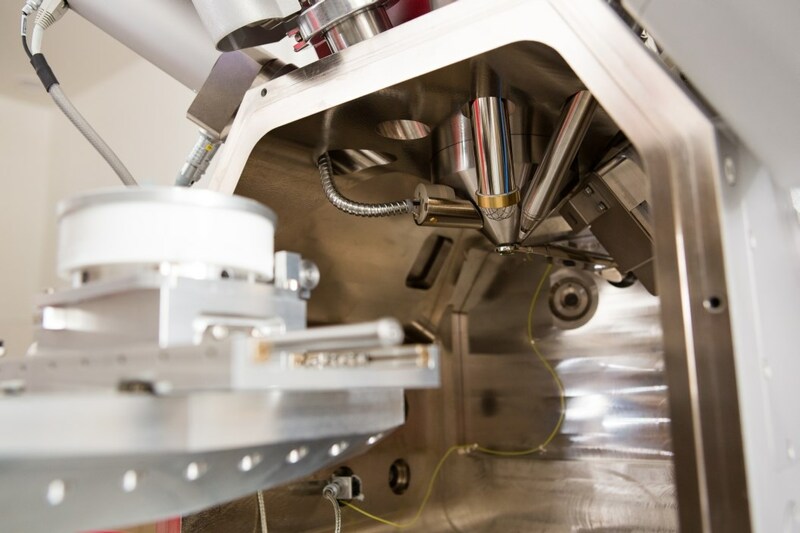 TOF mass spectrometer in reflection mode promotes high resolution and high mass accuracy for all ions generated. 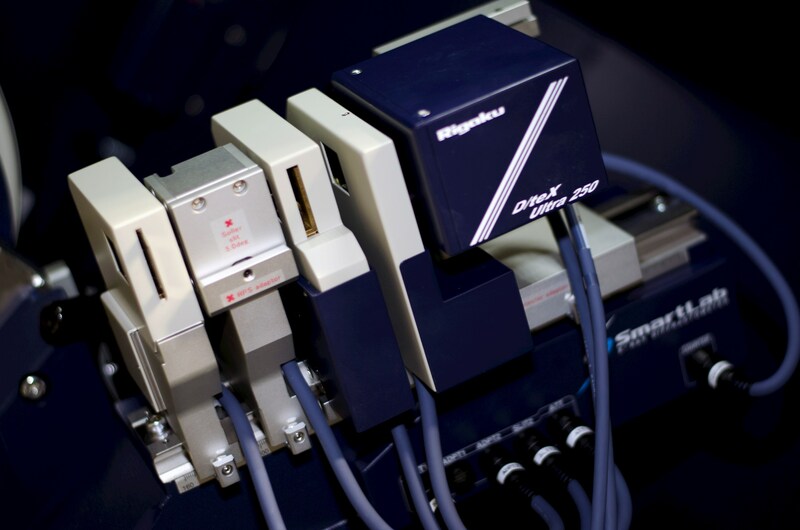 Software solution for a wide range of applications enables manual or fully automated operation for few or many samples, as required. 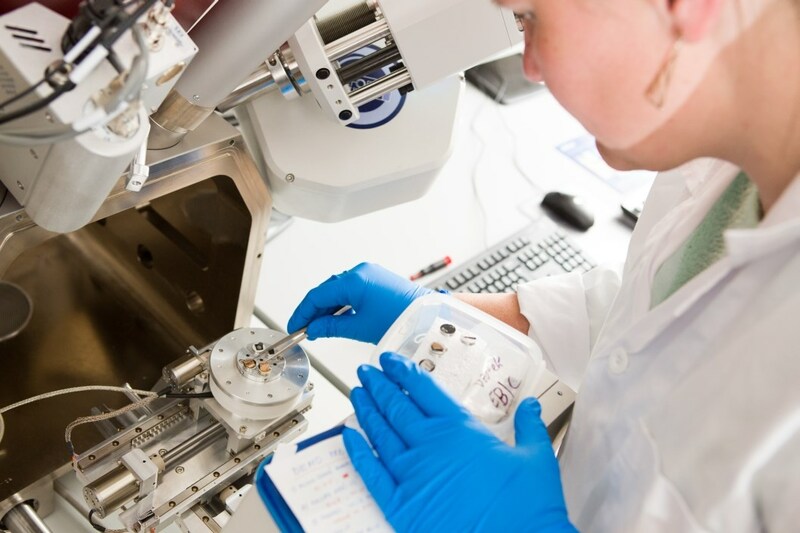 Analysis of small molecules – organic and inorganic. 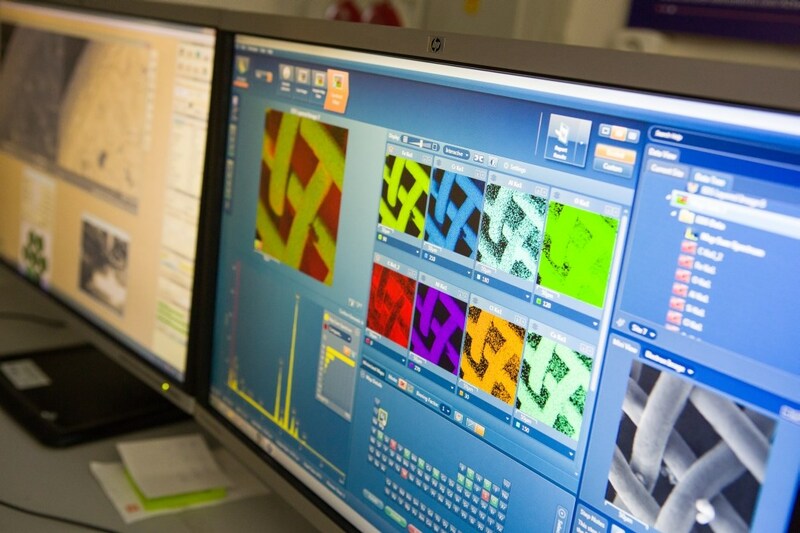 Structural characterization and identification of synthetic polymers. 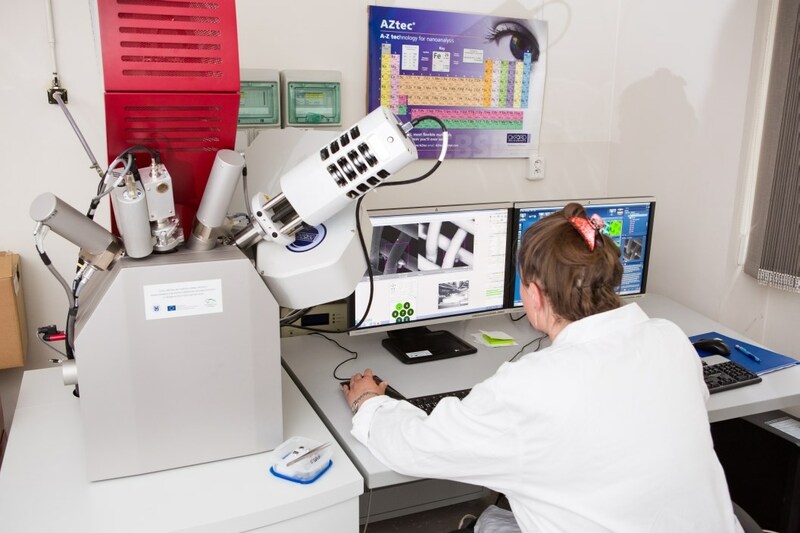 Structural characterization and sequencing of biomolecules like peptides, proteins, etc. 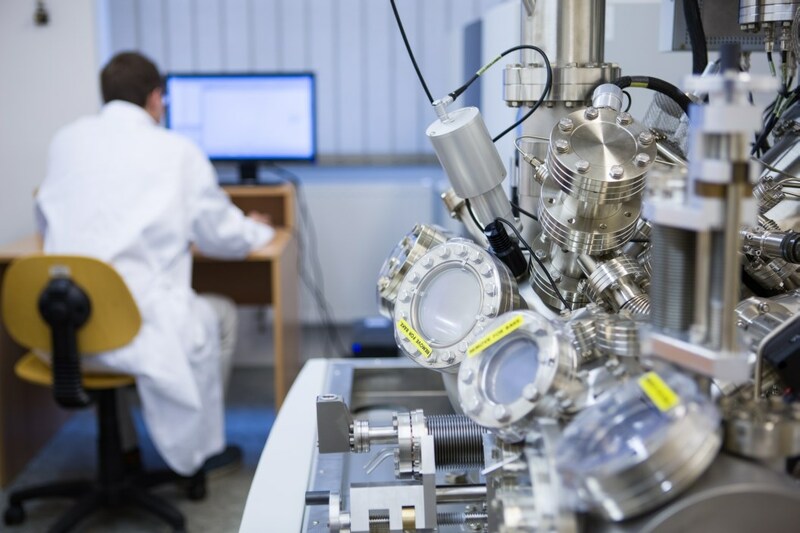 It can also be applied to follow purity of various materials, drugs, medicaments, to analyse polymers and also thin or nano-layers. 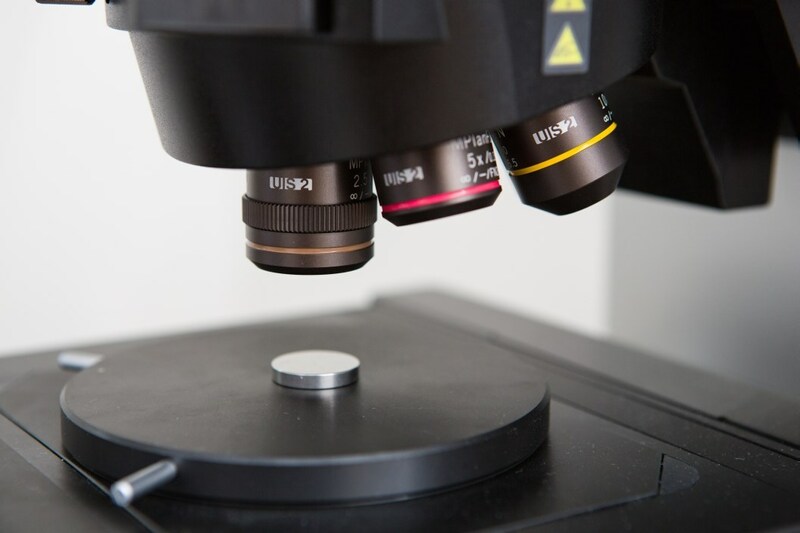 Characterization of purity of glass, silicon, metals etc. 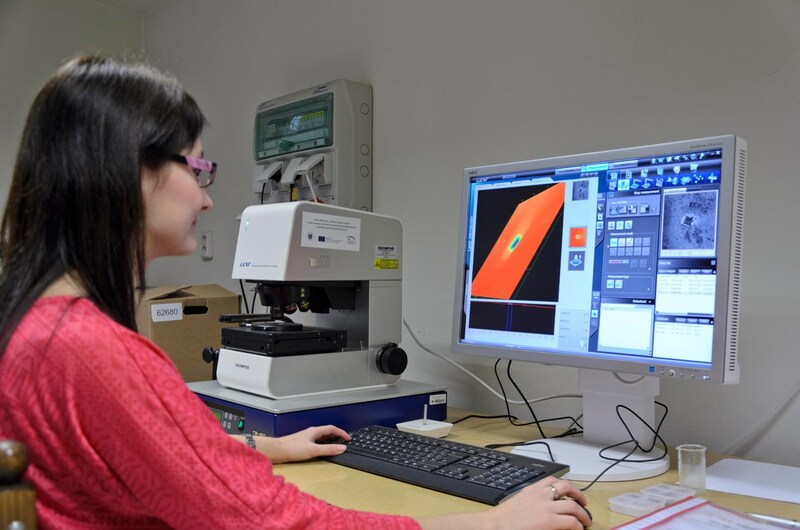 surfaces is possible if the thickness of sample is below 0.5 mm. 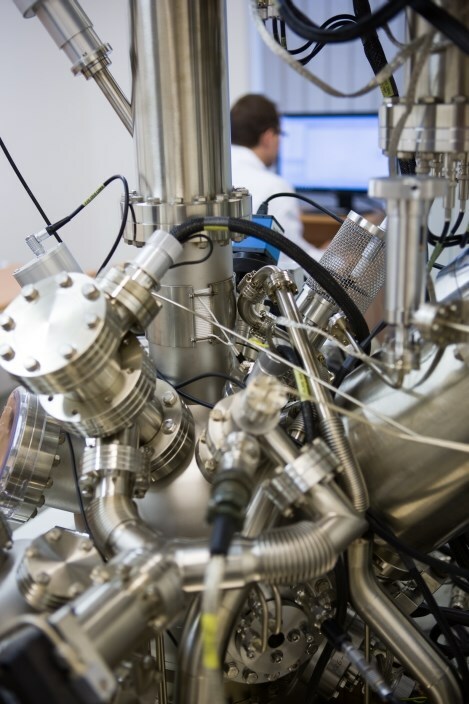 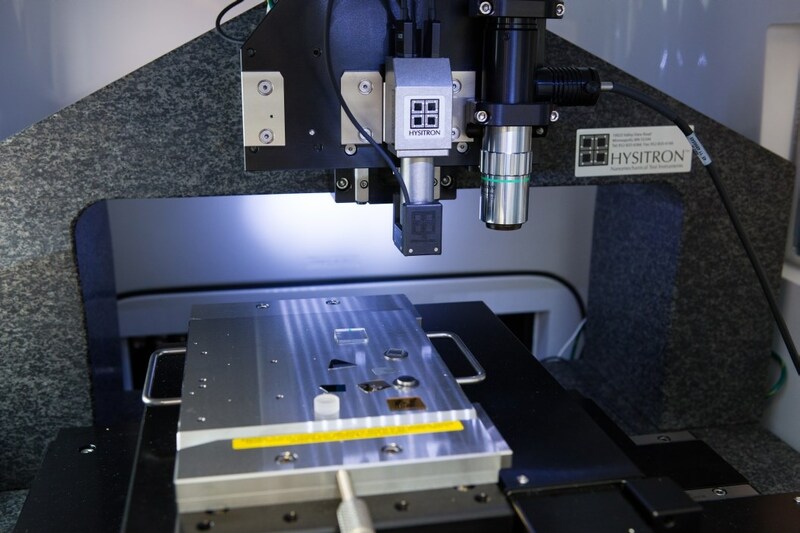 The Hysitron TI 950 TriboIndenter is the next generation nanomechanical test instrument providing industry-leading sensitivity and unprecedented performance. 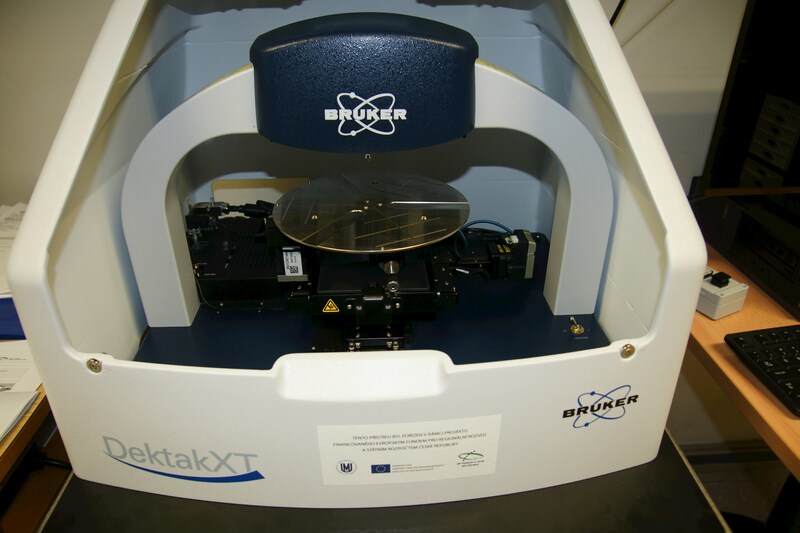 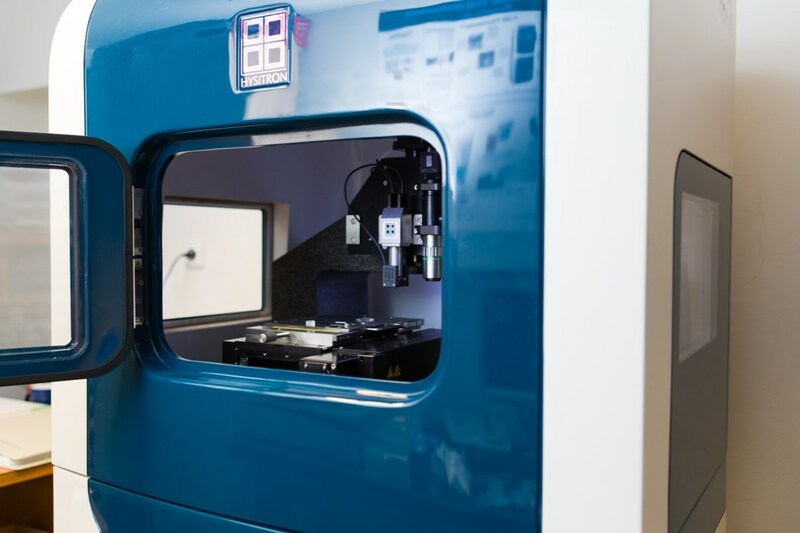 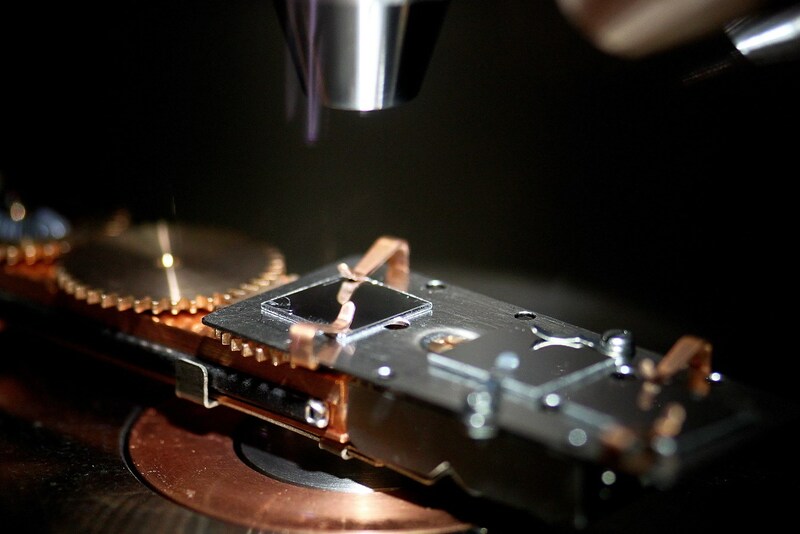 The TI 950 has been developed as an automated, high throughput instrument to support the numerous nanomechanical characterization techniques developed by Hysitron. 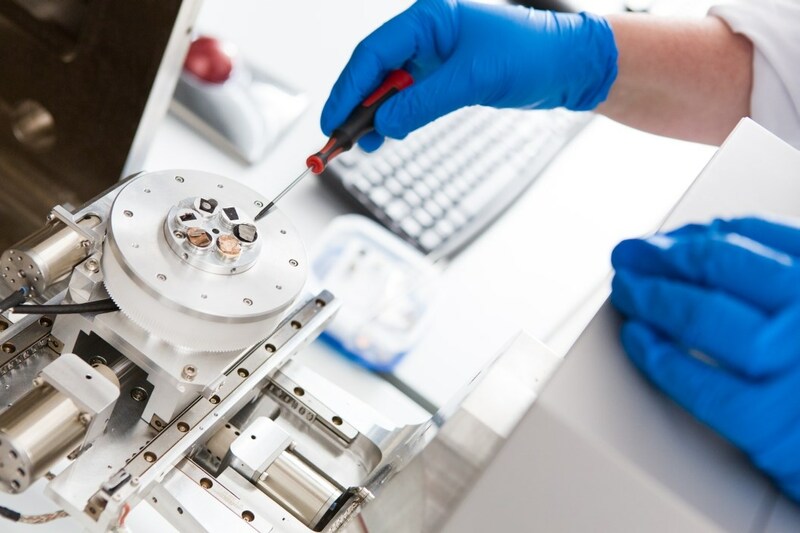 LabRAM HR Evolution system by HORIBA is ideally suited for measurement of vibrational, rotational and overall low energy molecule modes for chemical analysis in both micro and macro scale. 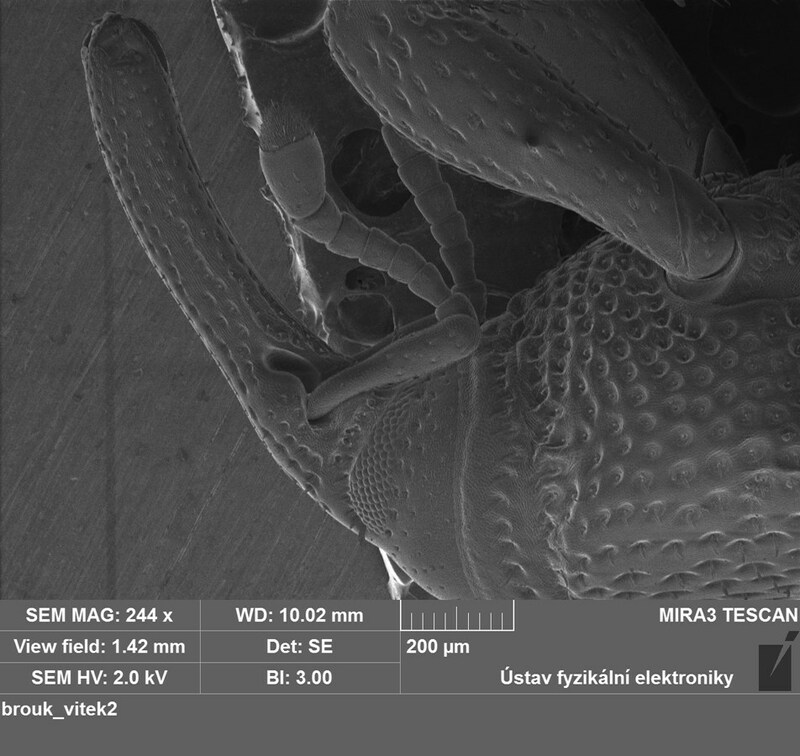 Thanks to wide measurement scale of 10 – 2200 cm-1 and a long focusing distance, it is possible to perform measurements with high spectral resolution from ultraviolet to visible to infrared region. 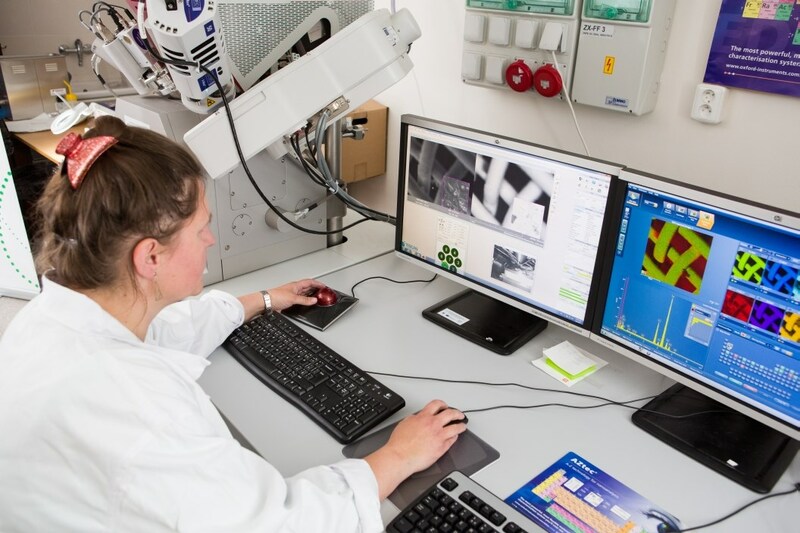 Thanks to the high resolution and low noise measurements, it is possible to get accurate information about the crystallinity, polymorphism and overall state of the surface molecules. 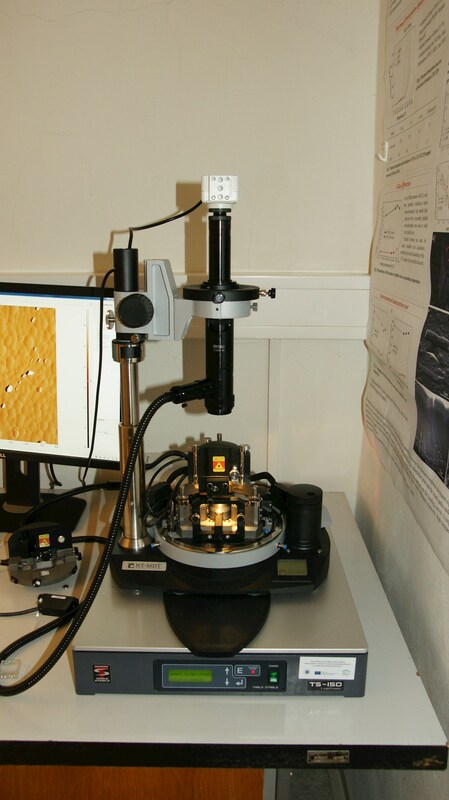 In addition to point measurements, it is possible to perform 2D and 3D mapping of the sample using optically coupled confocal microscope and fully motorized sample stage. 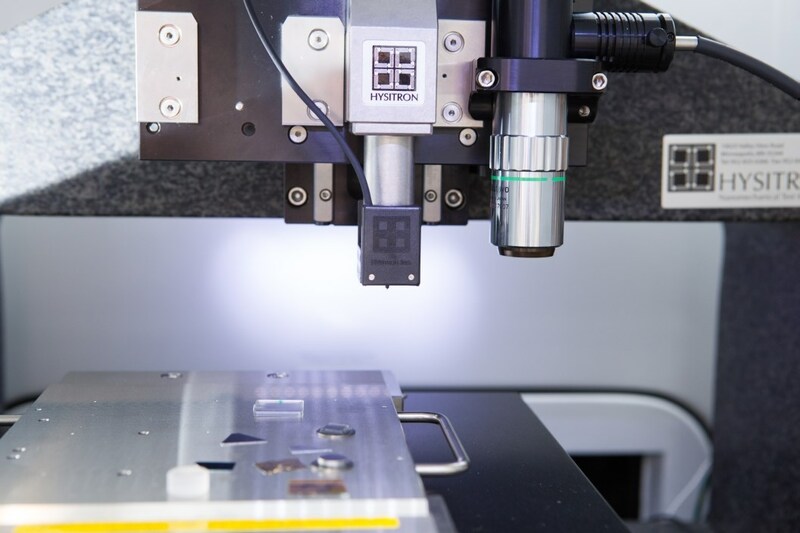 High flexibility of Raman analysis is provided by three laser sources - HeCd 325 nm, semiconductor 532 nm laser and a second semiconductor laser at 785 nm. 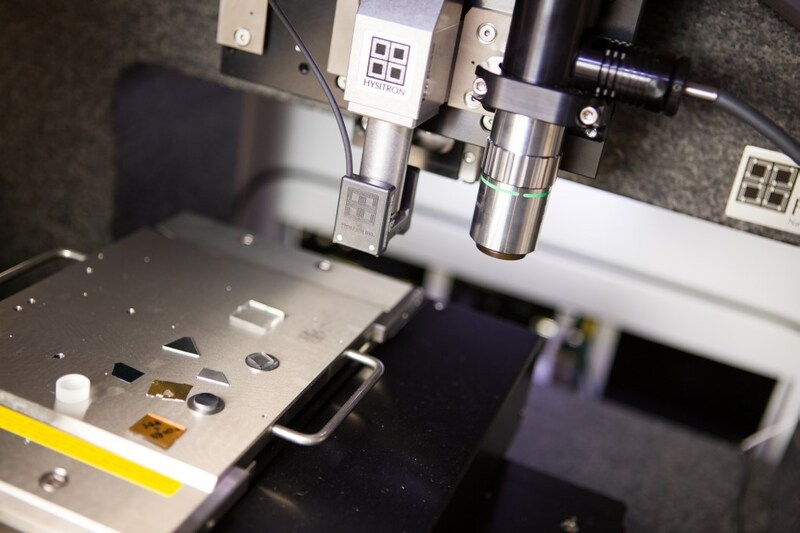 The detector is fitted by a 1024 x 25s pixel CCD with very high spectral resolution of 0.5 cm-1/pixel for 325 nm laser up to 0.2 cm-1/pixel for 785 nm laser. 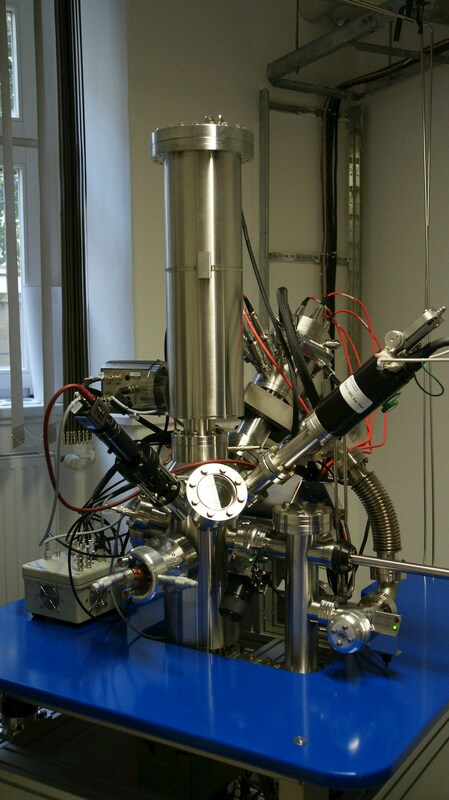 The focusing distance of the spectrometer is 800 mm. 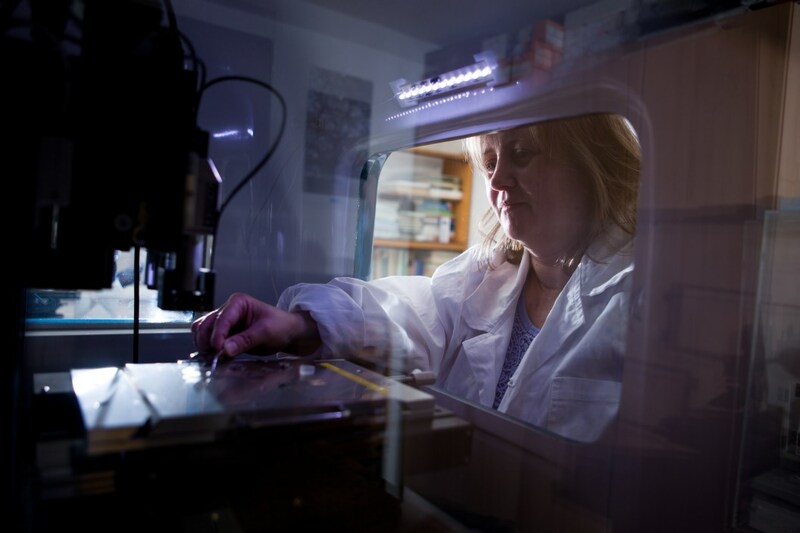 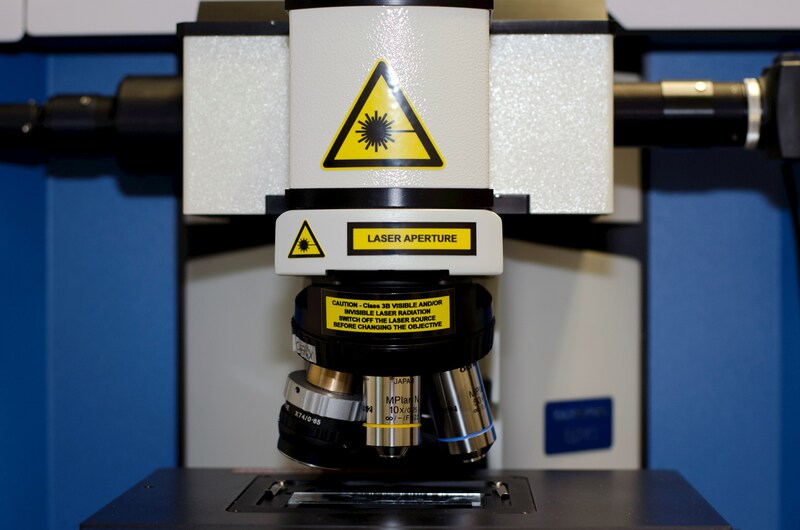 The laser is optically coupled with a confocal microscope equipped with 10x, 50x and 100x objectives as well as fully achromatic (cassegrain) 74x objective. 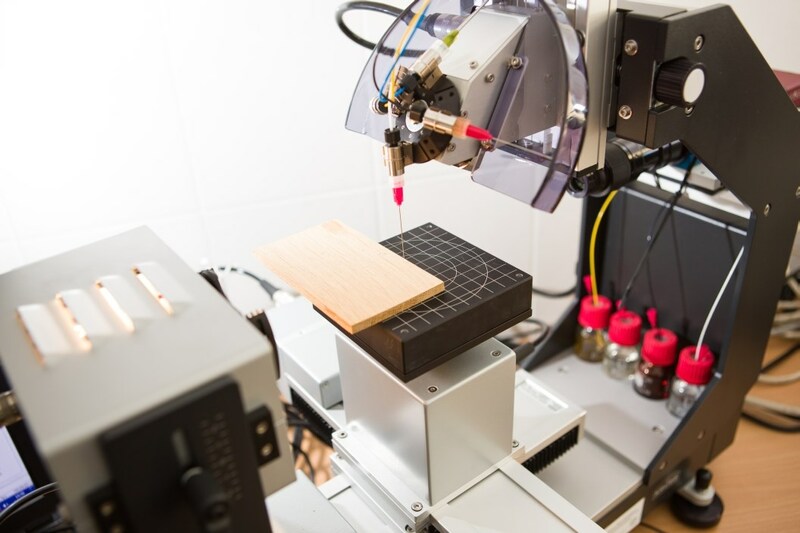 In addition the sample stage is fully motorized in X,Y axes (75 x 50 mm with the step of 0.1 micrometers) as well as Z axis (step of 0.01 micrometers) and therefore high spectral and spatial definition sample surface mapping is possible. 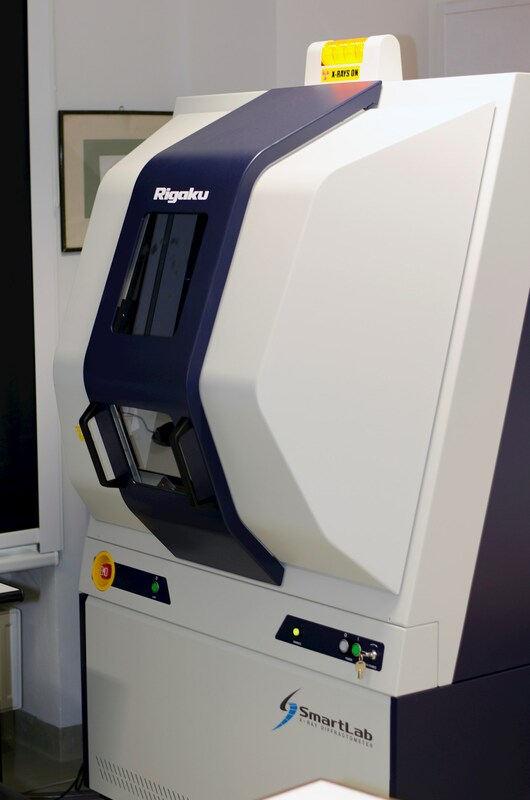 X-Ray Difractometer SmartLab Type F from experienced Japanese manufacturer Rigaku presents one of the most powerful and versatile serially produced machines up-to-date. 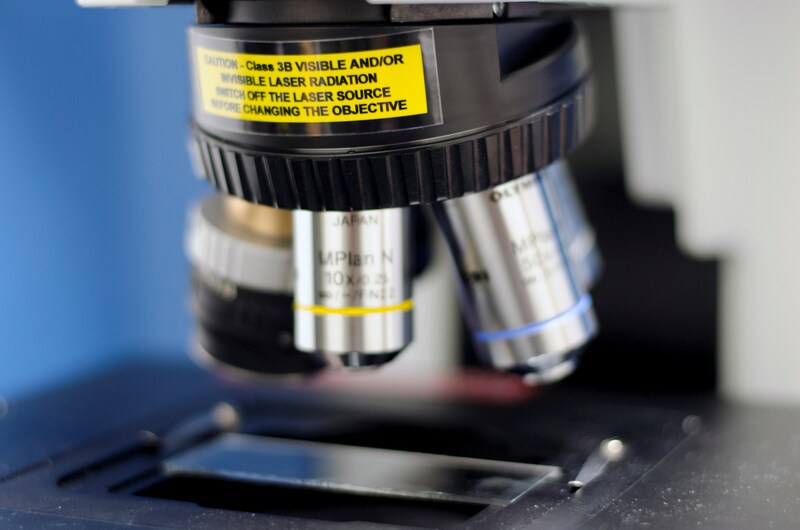 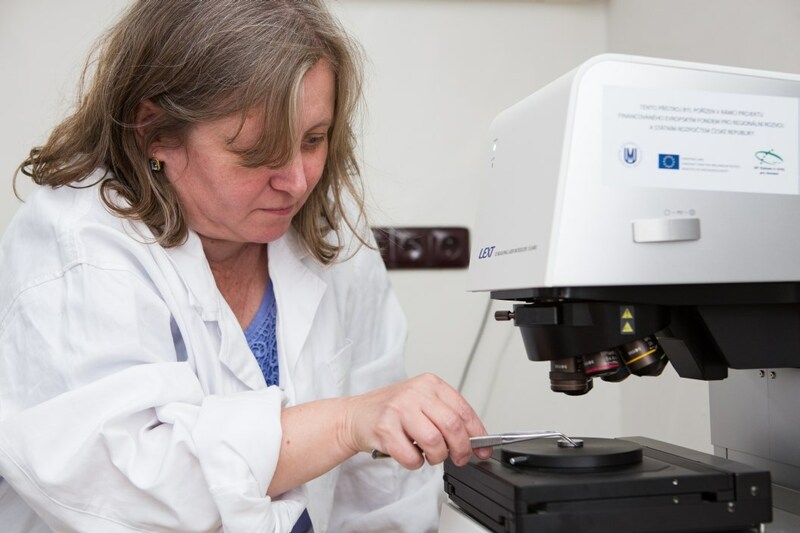 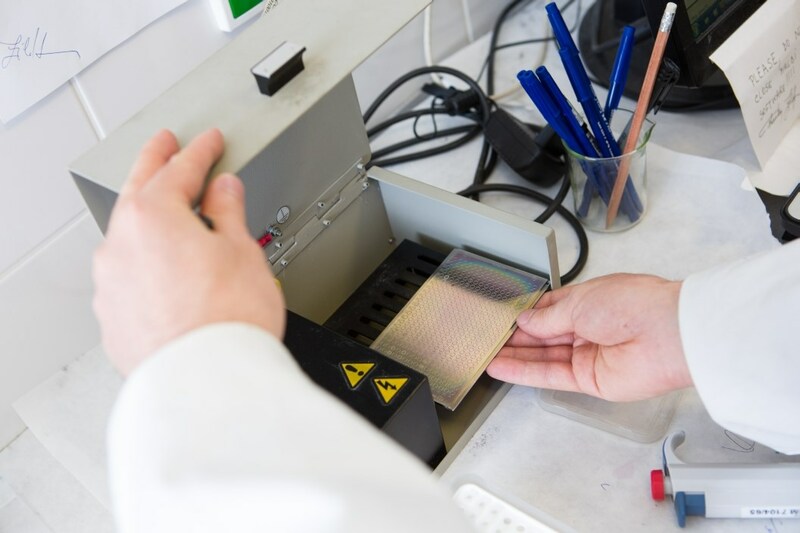 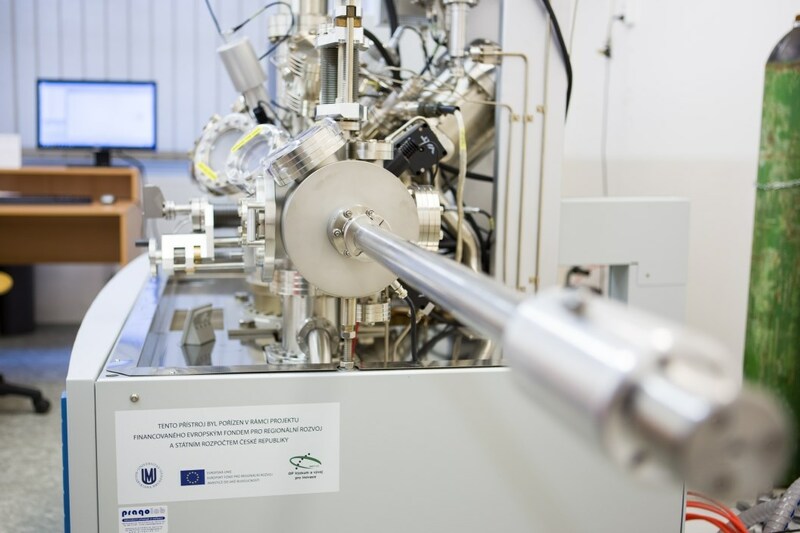 It is possible to measure samples in the form of thin films, multi-layers, as well as powders, nano-particles and bulk. 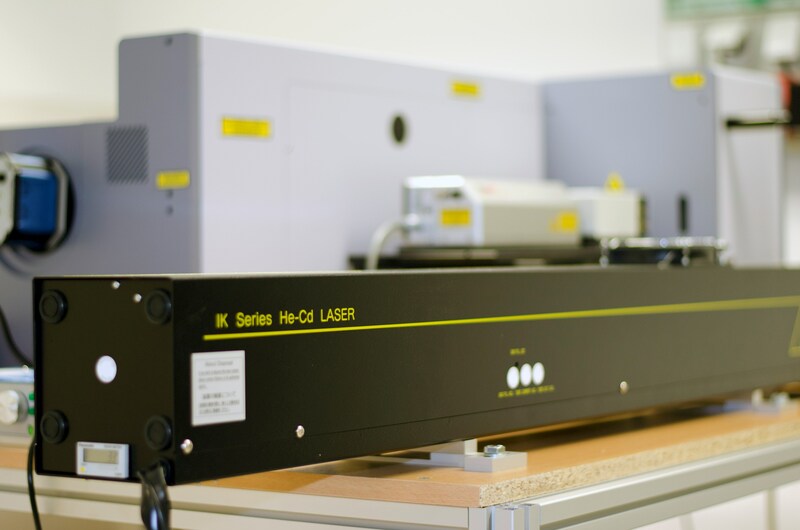 Measurement of single diffraction patterns as well as sample mapping and measurement of small angle X-ray scattering (SAXS) is possible. 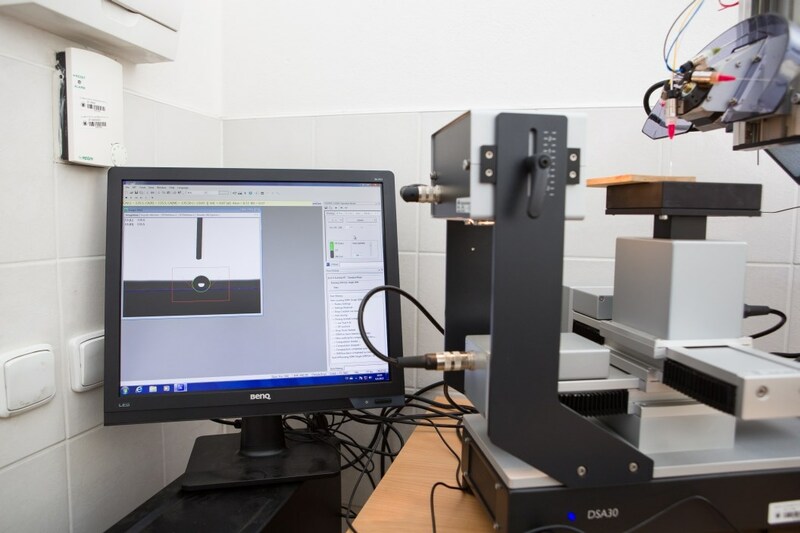 The measurement can be performed in wide angles, thus enabling us to measure a wide variety of crystalline samples. 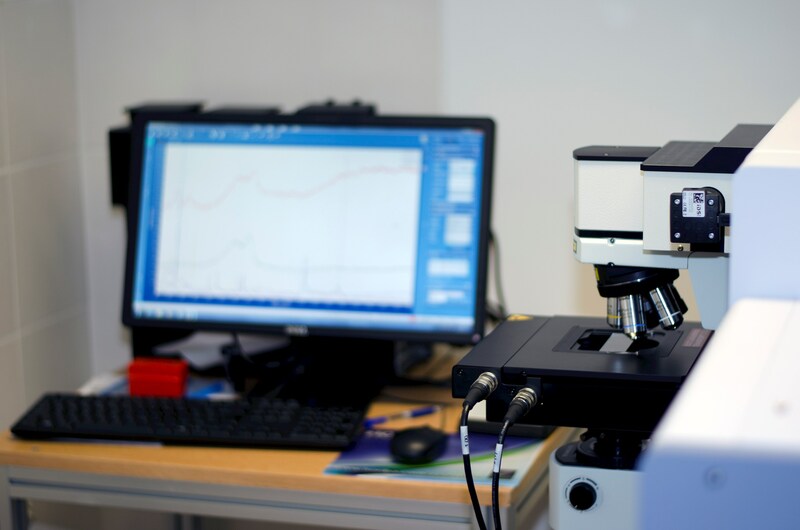 It is possible to perform qualitative and quantitative phase analysis, stress analysis and measure the texture and pole figures for samples up to size of 6”. 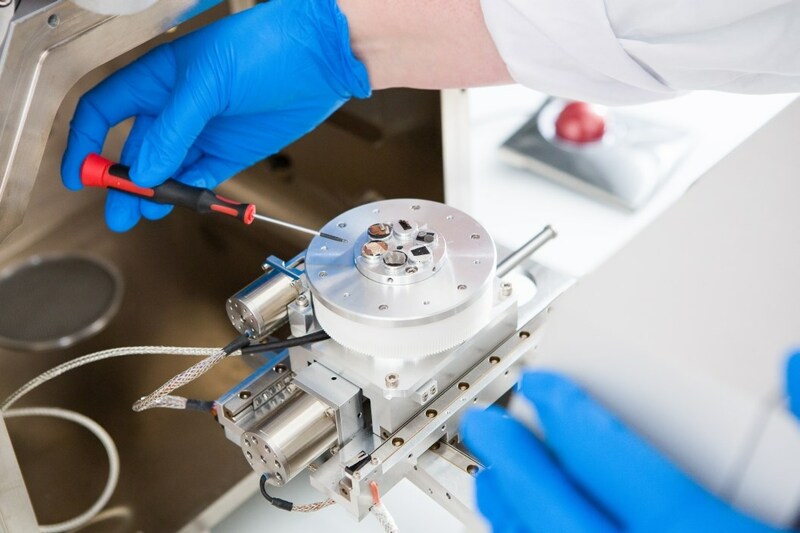 The device is equipped with a sealed X-ray source with copper anode and vertical theta-theta goniometer with horizontal sample site with independent source and detector movement. 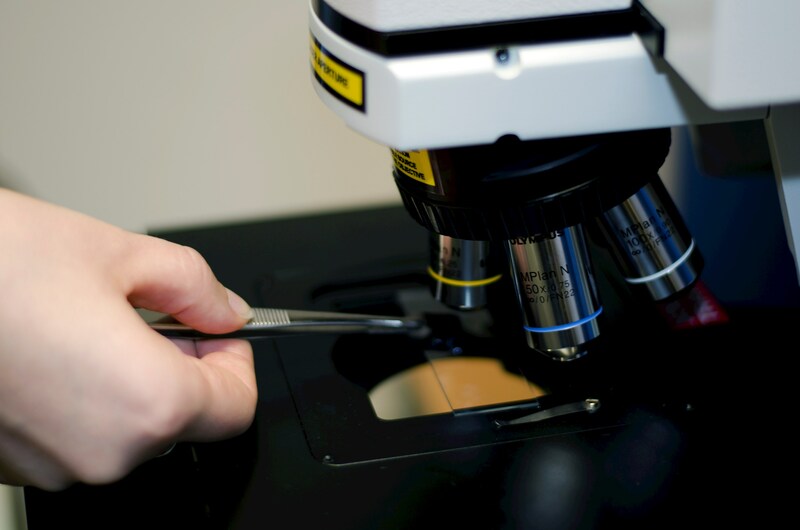 The smallest goniometer step is 0,0001°, which enables us to perform high definition measurements. 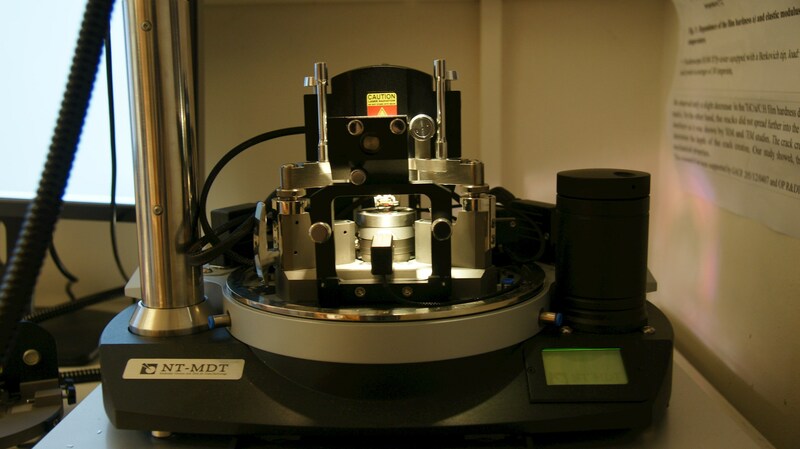 The goniometer movement is limited to a wide arc of -3° - 160° (2 theta). 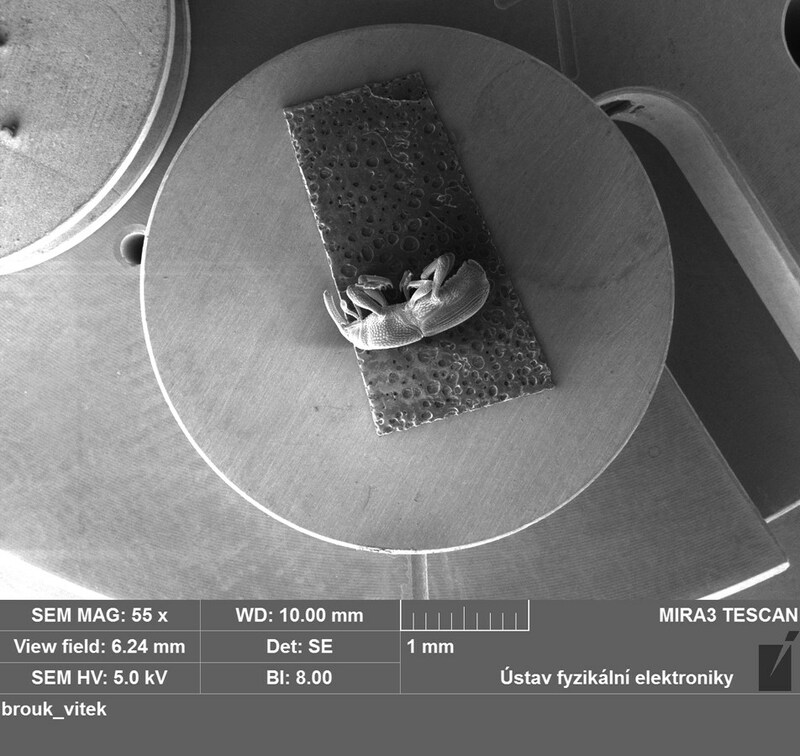 The sample can be tilted from -5° to 95°. 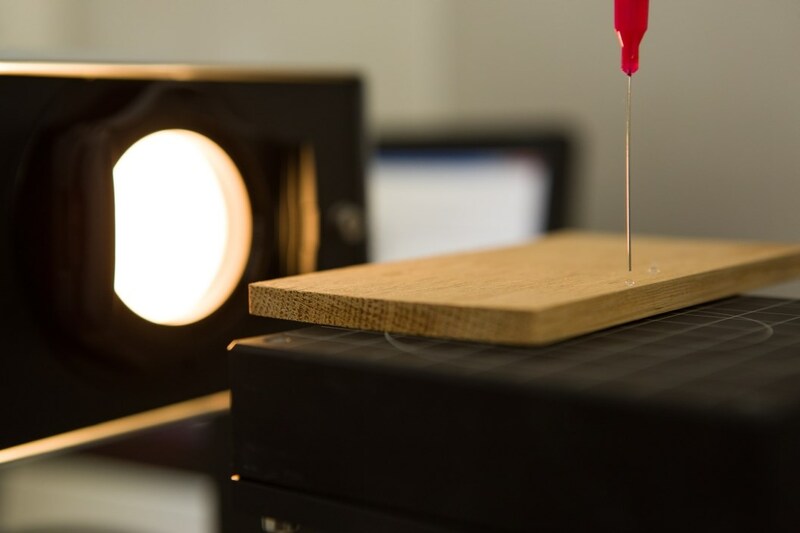 In-plane measurements with horizontally attached sample can be performed using in-plane detector movement in the range of -3° - 120°. 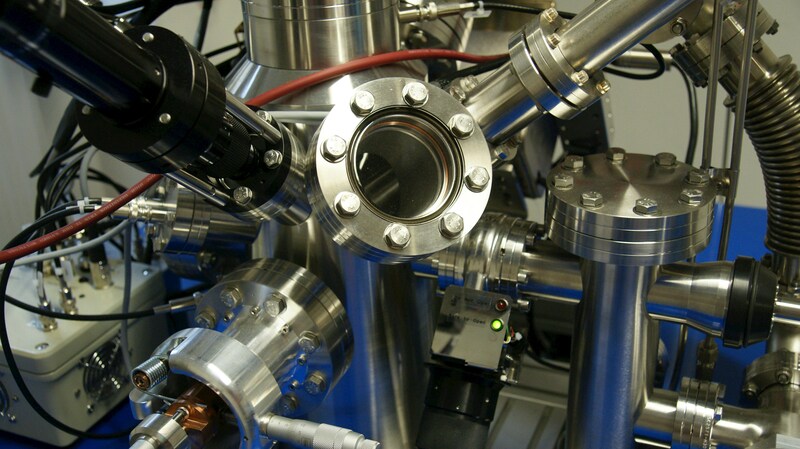 1D detector in Bragg-Bretano configuration as well as 0D detector in parallel beam configuration can be used for the measurement. 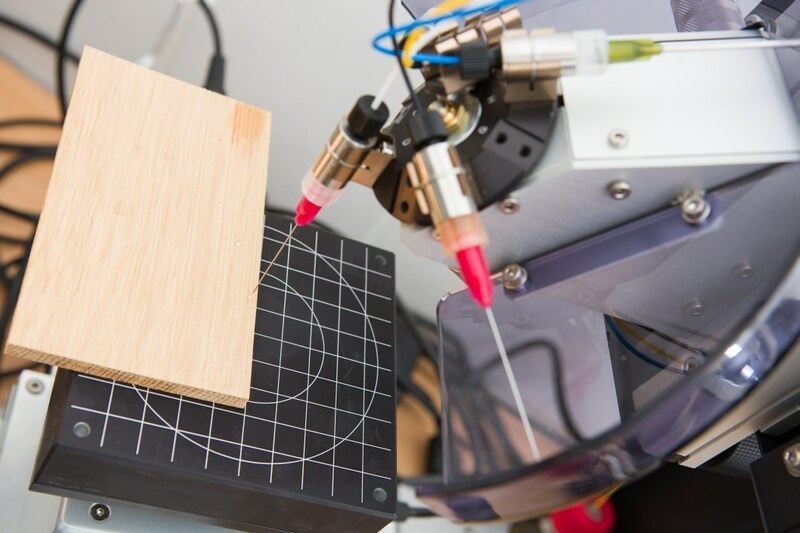 This versatile configuration enables us to measure both out-of-plane and in-plane diffractions. 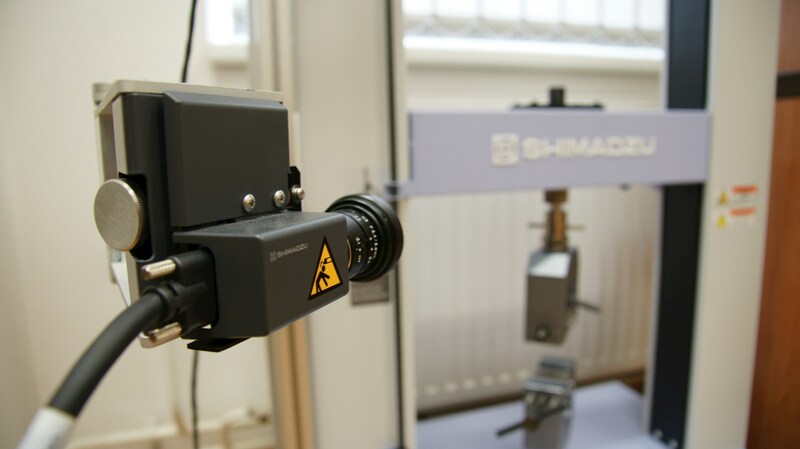 SAXS and reflectivity measurement adaptors are also available. 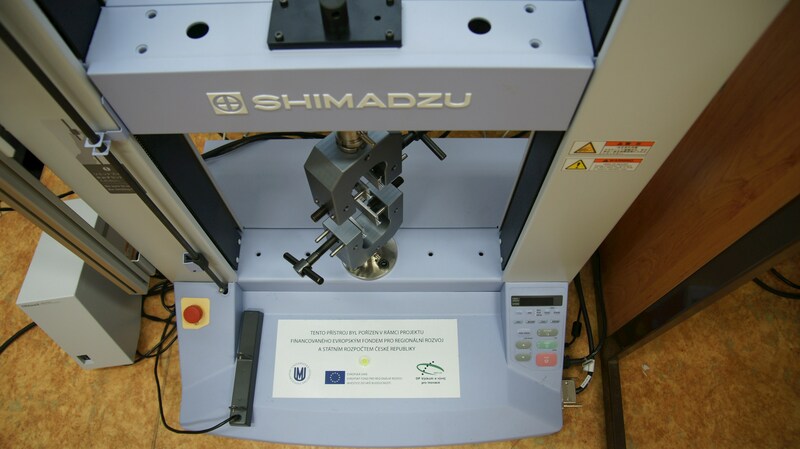 DSA 30 (Krüss, Germany) software controlled system for quick measuring of static and dynamic contact angles. 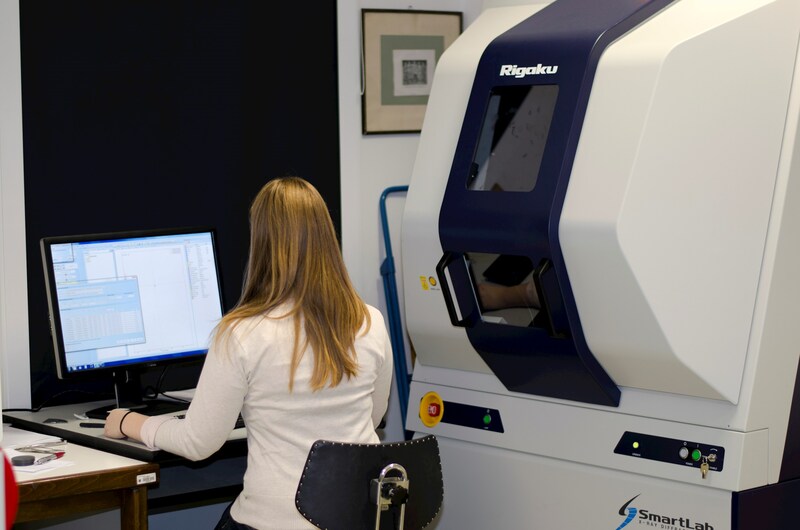 The contact angle study can provide important information about surface properties including the free surface energy. 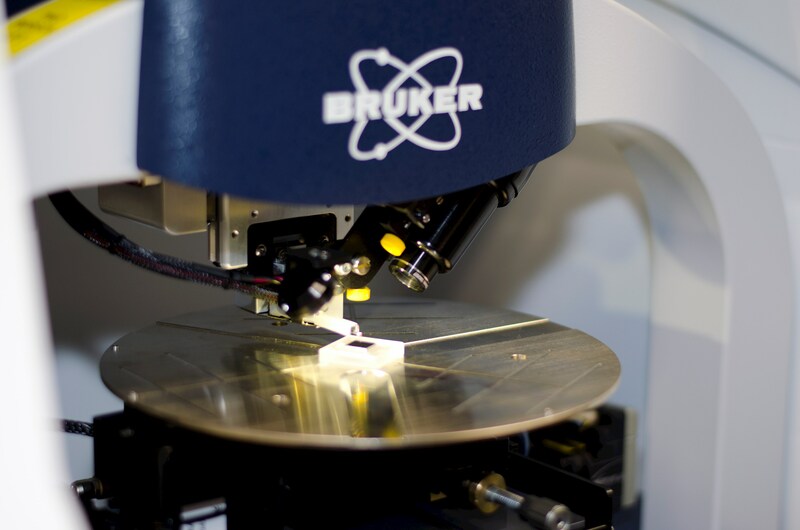 Various surfaces: Si-wafers, glass, polymers, etc. 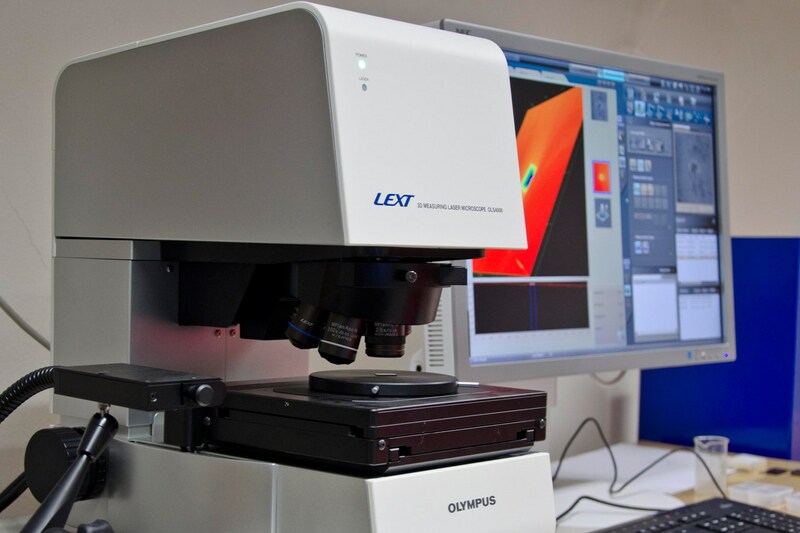 The LEXT OLS4000 3D Laser Measuring Microscope is designed for nanometer level imaging, 3D measurement and roughness measurement. 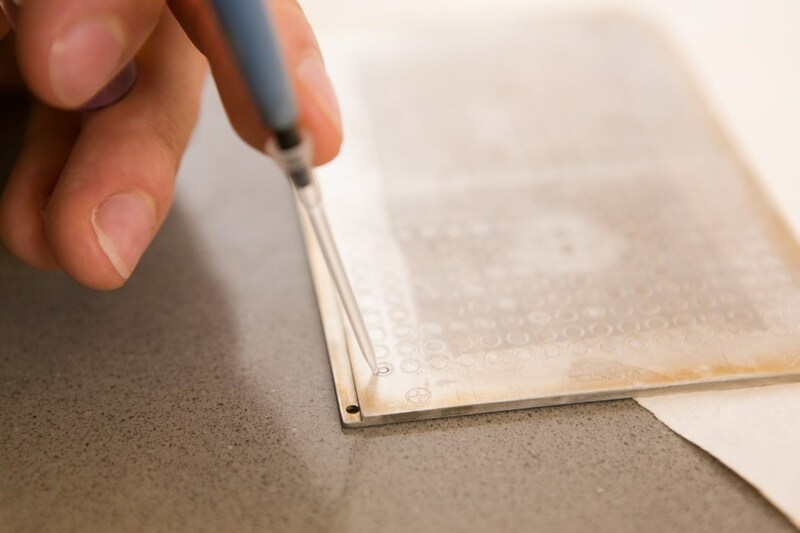 The DektakXT stylus surface profiler is an advanced thin and thick film step height measurement tool. 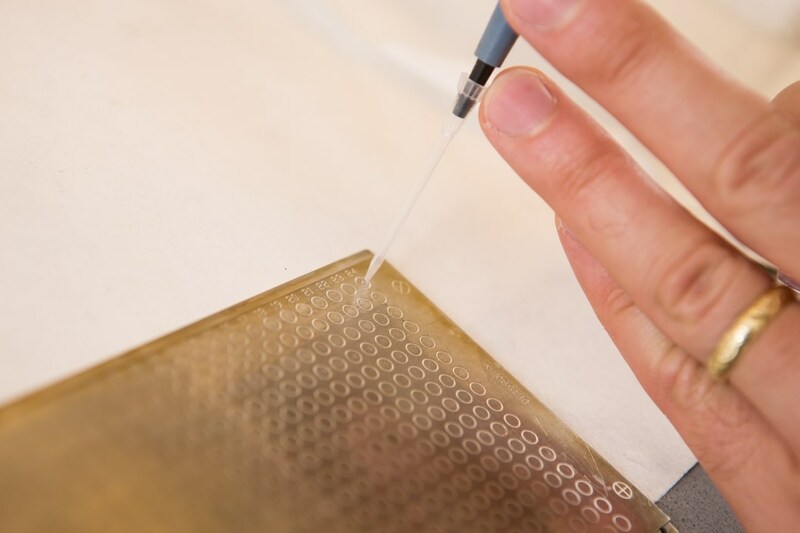 The tester of adhesion REVETEST Xpress plus CRM Instruments is instrumentation for characterization of thin film-substrate systems (adhesion, fracture and deformation) and for quantification of coatings adhesion. 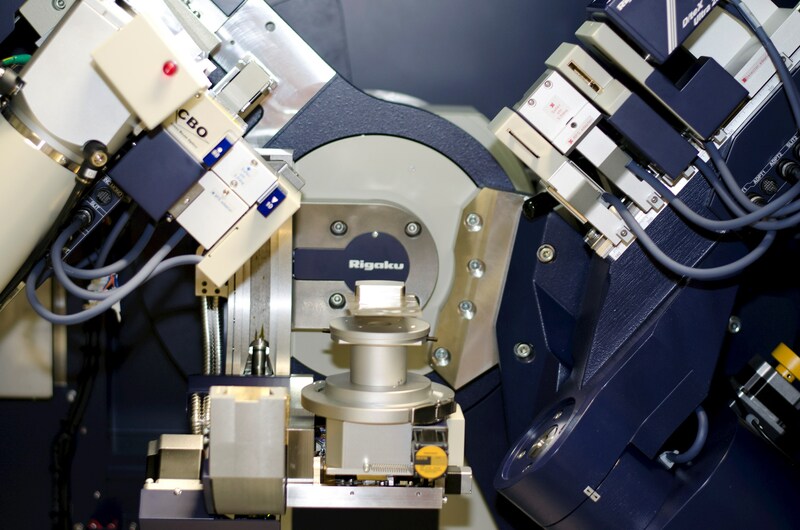 The system includes penetration depth measurement, handling of large samples (up to 300 mm), video microscope for observation of failure creation, automatic software for adhesion and friction evaluation, real time display of normal force, friction force, friction coefficient, depth. 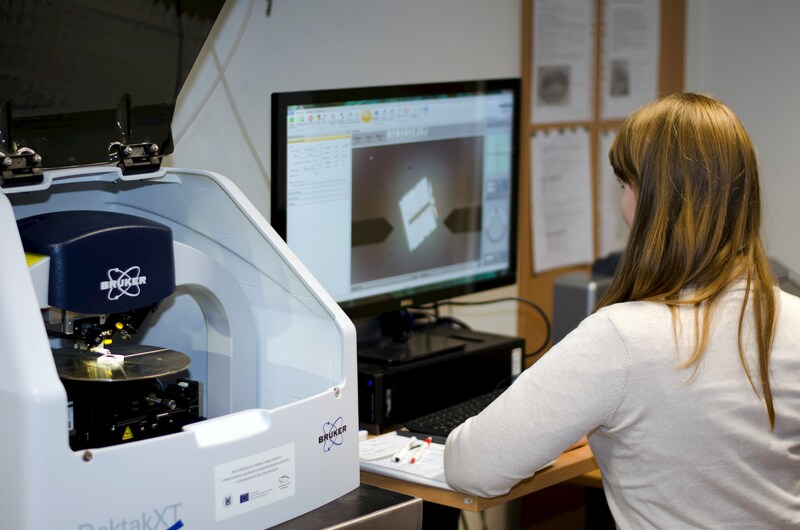 The scratch modes includes constant, progressive and incremental loads, matrix of scratch tests and multicycles for wear studies. 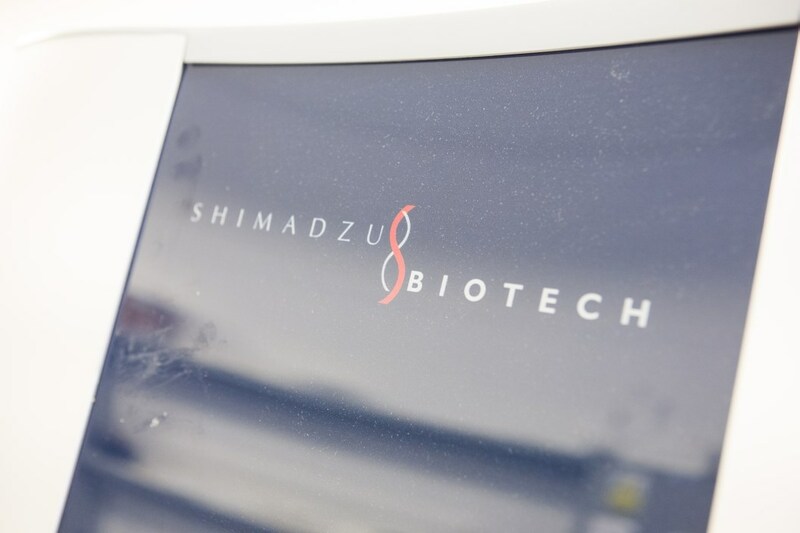 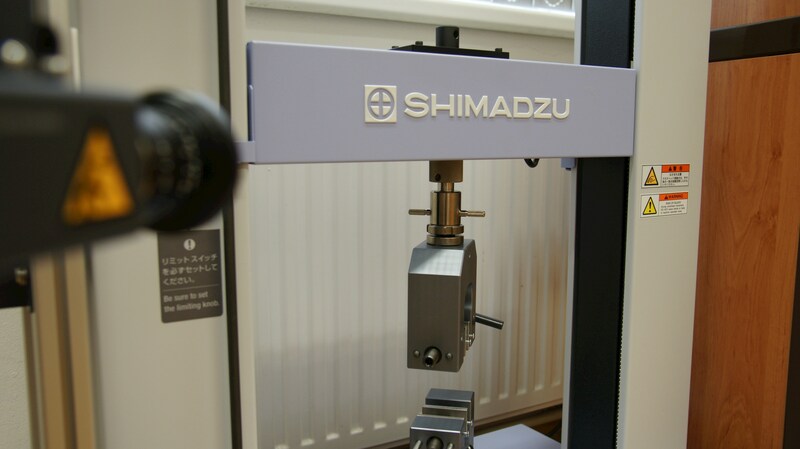 The load range covers testing loads from 0,5 to 200 N.
The tear machine AGS-5knX Shimadzu for defined straining of materials with automatic registration of the load and strain is intended to study the mechanical properties of materials. 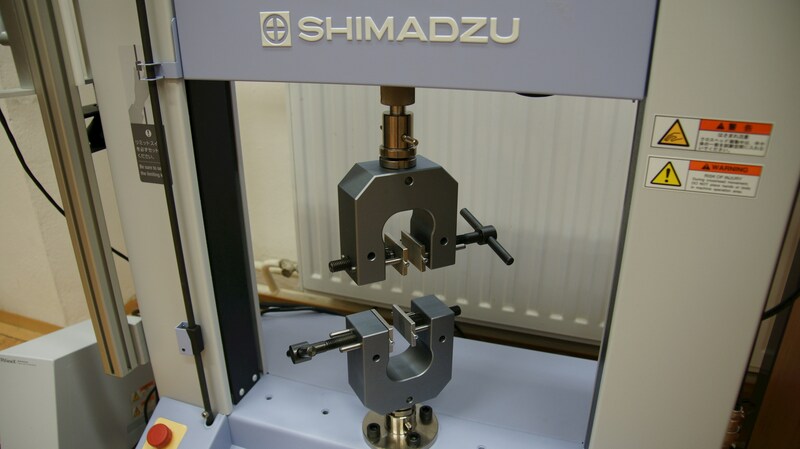 This equipment allows uniaxial tensile tests. 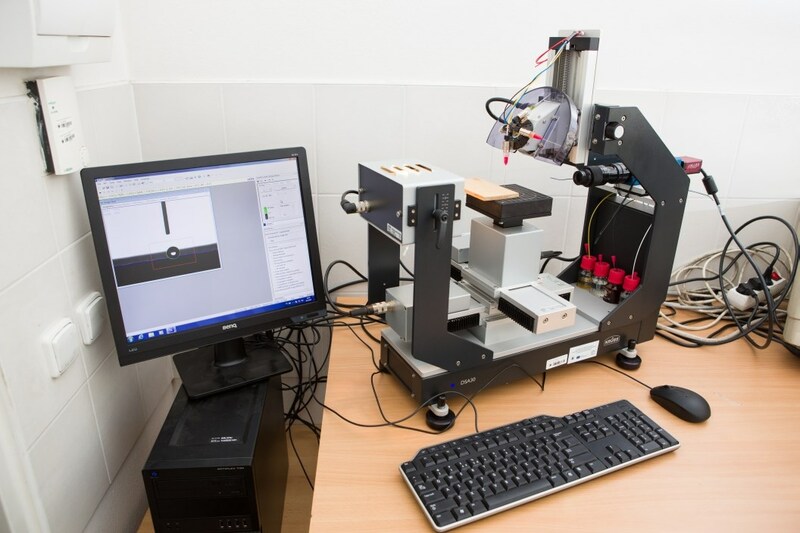 The tear off testing is a programmable testing system.